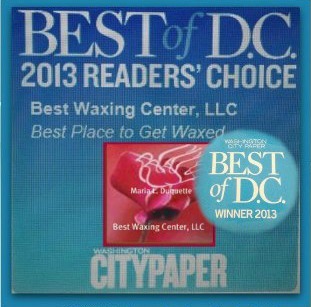 BEST WAXING CENTER was established in August, 2006 by MARIA L. MAGNO IN THE D.C. DOWNTOWN AREA. In 2013, we relocated to Arlington, Virginia while Maria was complying with additional D.C. professional license protocol which she passed in November, 2013. On August 14, 2014, Maria then moved back to D.C. after acquiring the District of Columbia license requirements. 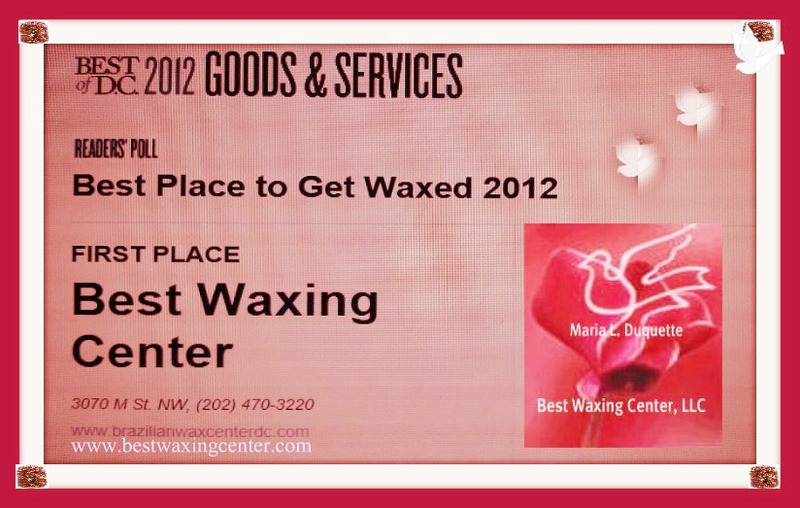 In May 2015, Maria registered a new business name with D.C. now as Best Waxing Center DC, LLC. In the Philippines, Maria graduated Bachelor of Science in Zoology at Southwestern University, Cebu City and studied Law at San Jose Recoletos, Cebu City. Maria has been a business entrepeneur all her life. Her experienced in the beauty industry started in her home country helping her parents in the beauty and spa business at a very young age and eventually ran her own 3 beauty salons before she migrated to the US in 1996. 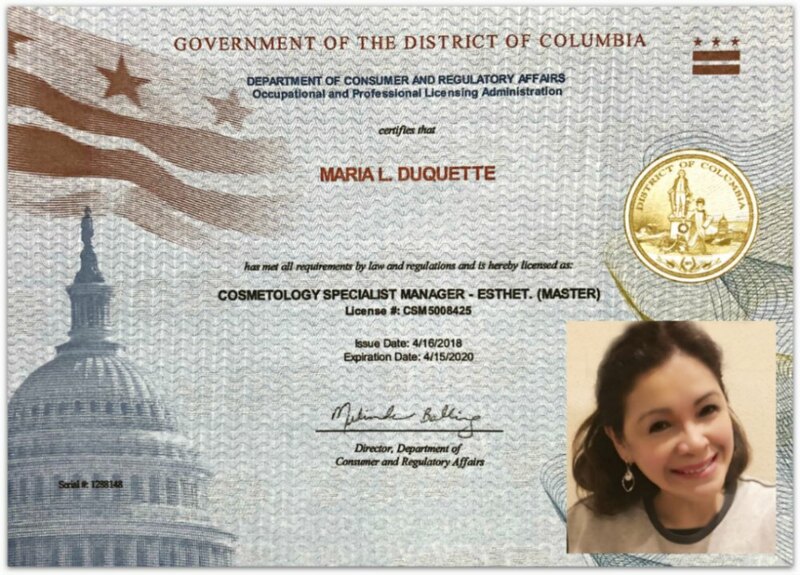 She is a Licensed Cosmetologist, PASSED Esthetician exam with a Cosmetology License,DC Licensed Master Esthetician, DC Licensed Special Manager, Medical Laser Esthetician and a Certified Electrologist. In the year 2002, she had an extensive EARNED TRAINING in Celle Germany for SKIN CARE AND BODY TREATMENT; as well as trained and experienced in electrolysis, laser hair removal, laser acne treatment and microdermabrasion. BEST WAXING CENTER DC LLC is extremely well-known for its superior service for body hair removal and very popular in BIKINI/BRAZILIAN WAXING SERVICES. Our clients are mostly from WORD OF MOUTH AND REFERRALS. 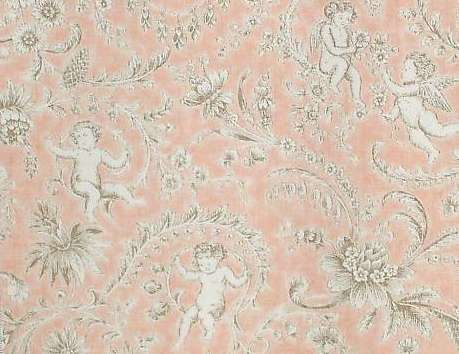 Thank you for taking time to check our website. MARIA L. MAGNO (DUQUETTE), married, is experienced for more than 30 years with all earned education and advanced classes. It is the expertise and training of the person that makes the whole service uncomfortable. DON'T BELIEVE IN PAINLESS HAIR REMOVAL. THERE IS NO SUCH THING AS PAINLESS BEAUTY, UNLESS YOU ARE TOTALLY NUMBED OR SEDATED. PAINLESS BUT CAN BE LESS PAINFUL. TO BE BEAUTIFUL IS ALWAYS PAINFUL. EVERY BEAUTY TAKES PAIN. but only hair on toes during pedicure services. MARCH 26, 2019: WITH OUR ADDITIONAL SERVICES ON SKIN CARE; BRAZ/BKINI FACIAL TREATMENT,BRAZ/BKNI INGROWN TREATMENT AND SKIN CARE FACIALS (MICRODERMABRASION is included in all the skin care services)... WILL BE AVAILABLE AS SOON AS WE GET THE NECESSARY BUSINESS APPROVAL FOR THESE SERVICES IN THE NEXT FEW WEEKS. THANK YOU.  I WILL BE OUT OF THE COUNTRY FOR FOUR (4) DAYS, FROM MAY 10, FRIDAY TILL MAY 13, 2019, MONDAY. I WILL BE BACK TO WORK ON MAY 14,2019, TUESDAY.